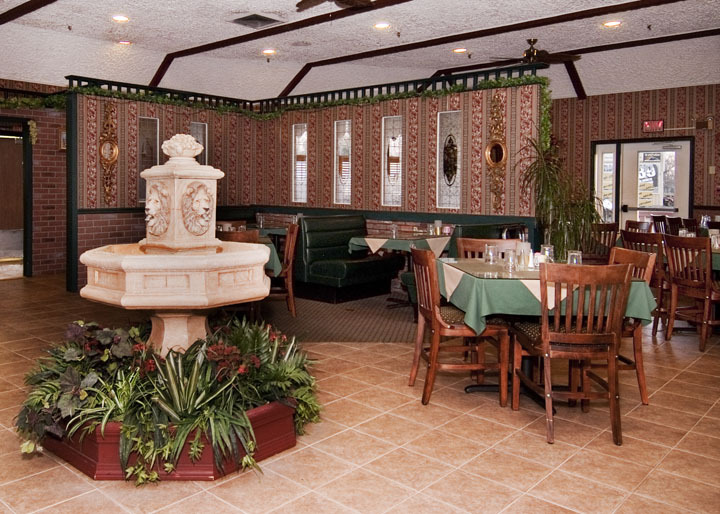 "An authentic piece of Italy, right here in the County"
Complement your stay at the Presque Isle Inn & Convention Center with an authentic meal in Gram Russo's Italian Restaurant; one of Northern Maine's finest eating establishments. Enjoy a superb casual fine-dining experience, in a comfortable atmosphere, surrounded by breathtaking views of Presque Isle & the surrounding countryside. 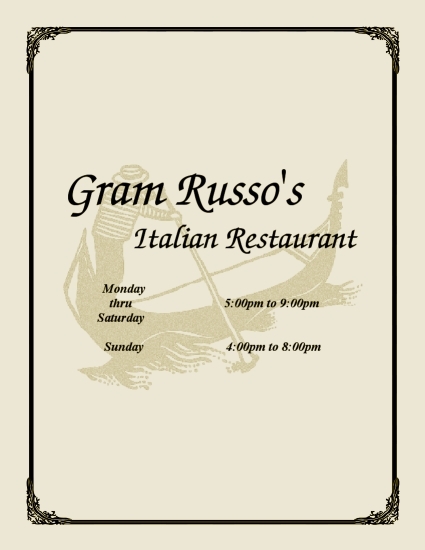 Gram Russo's exceptional dinner menu offers a diverse selection of home-made International and American items, from traditional & contemporaryItalian cuisine to fresh Maine seafood. Our chefs use only the freshest ingredients and create unique seasonal, hand-crafted specials, so we invite you to check back with us often! We stock an extensive array of wines to complement any entree. Finish off your meal with one of our featured decadent desserts. At Gram Russo's We Fill Your Plate the Italian Way! 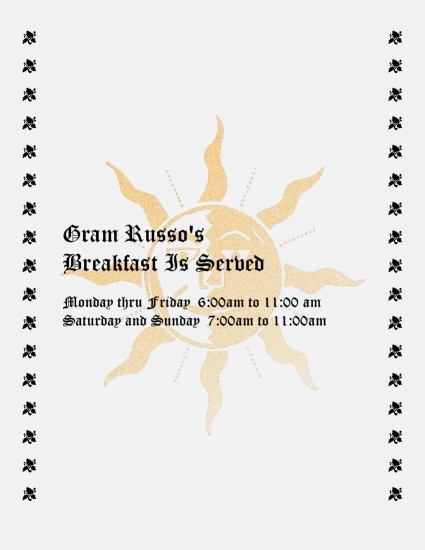 Breakfast at Gram Russo's is the perfect way to begin your day, offering everything from coffee to-go to savory sit-down breakfast combos - just like mom used to make. Our lunch menu offers a variety of delicious daily luncheon specials and traditional fare, all with quick, efficient service. M - W 5 p.m - 8 p.m.
Thurs. 5 p.m - 8 p.m.
Fri. 5 p.m - 9 p.m. Sat. 5 p.m - 9 p.m.
Sun. 5 p.m - 8 p.m.
& enjoy a spectacular meal!